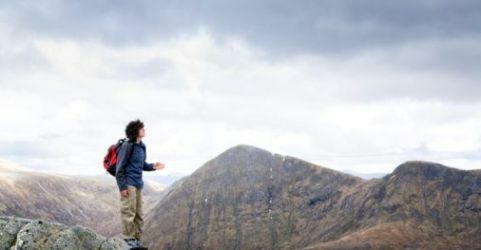 One of the most popular summer activities with Britons is to hook up the caravan to the car and head north into the Scottish Highlands for some peaceful camping and hiking. The region is one of the best in the world for scenery and historical sites. One of the campgrounds worth visiting is the Inver Caravan Park in the small town of Dunbeath. The site is open all year long and can accommodate tents, caravans, and motorhomes. You can also rent a static luxury caravan that can sleep up to 6 people. It’s fully heated with a lounge, free TV and dining furniture. The caravan can be rented daily and by the week. The one-acre campground is licensed site and is listed by the British Camping and Caravan Club. It features smooth grass which is surrounded by beautiful trees that provide shelter and shade. The views of Moray Firth and Dunbeath Bay are spectacular. The campground is an ideal place to stay if you’re heading to Orkney and it’s also a great spot to take in the local scenery and use it as a base camp for cycling, hill walking, cliff climbing, fishing, relaxing, and exploring the north of Scotland. There are several nearby attractions, such as the Heritage Centre and Laidhay Croft Museum in Dunbeath. The local area features sea-stacks and cliffs for climbing along with plenty of bird and marine life. The Dunbeath Strath is fantastic for hiking and the nearby town of Caithness is home to plenty of archaeological sites. The Castle of Mey is also close by and the site is about as far north as you can get, as it’s about 40 miles away from the town of John O’ Groats. The Inver Caravan Park has electric hook-ups, hard-standing pitches, showers, a toilet block, laundry facilities, a chemical disposal, internet access, and views of the sea. Dogs are also welcome. In the surrounding area you’ll be able to find a shop, pub, restaurant, beach, watersports, boating, tennis, fishing, and golf.